16:28 | Lima, Feb. 6. Lima Mayor Jorge Muñoz is one of the most excited people for the start of the greatest sports celebration in the Americas. He is 100% committed to the Lima 2019 Pan American Games and promises to keep working with Panam Sports and COPAL to guarantee the success of the Games. After he took office as Mayor of the Peruvian capital, Muñoz surprised everyone with the way he arrived on his first day at work –on his bike. Wearing athletic clothing and a helmet, the mayor made sure to stay in the great bike lanes popping up around the city. With his objective to get more Peruvians to lead healthier and more active lives, the mayor is leading by example while demonstrating his love of sports. This week, Jorge Muñoz took advantage of the visit of top sports authority of the Americas and Panam Sports President Neven Ilic to Lima. The mayor invited him to lunch at the municipal palace in the iconic Plaza de Armas. This necessary and productive meeting reinforced the commitment of both sides to successfully hosting the 18th edition of the Pan American Games in Lima in July. "We had a favorable meeting. We spoke about many things, especially those which are still pending. Those are the things we need to take a look at and attend to so that we can have the best Games ever," Muñoz expressed. "We believe in what we are doing. We must have the courage and get to the starting line, have the persistence to run this race, and visualize the finish line we want to get to," he added. "As the Metropolitan Mayor of Lima, I invite all teams from all countries, all athletes, fans and Olympic Committee Presidents to come enjoy these Pan American Games in this beautiful city of Lima. 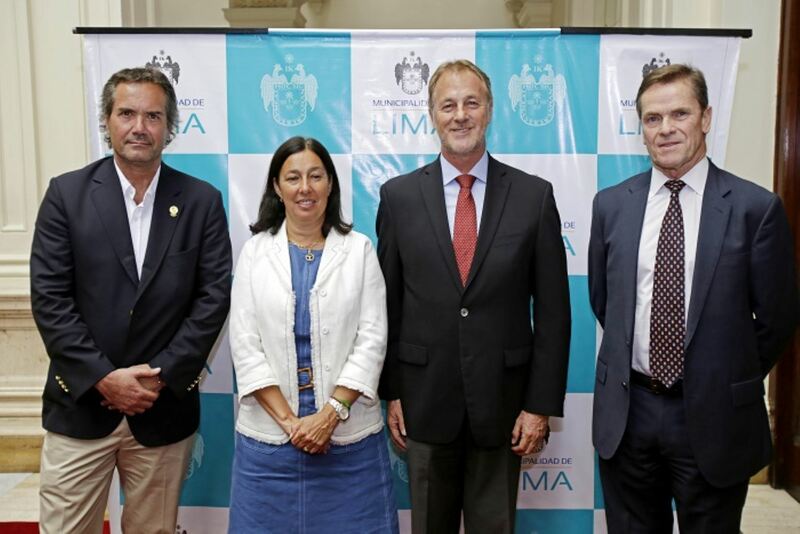 We are waiting for you with open arms," the Lima Mayor concluded. Editor's note: Based on information provided by the Panam Sports Organization.